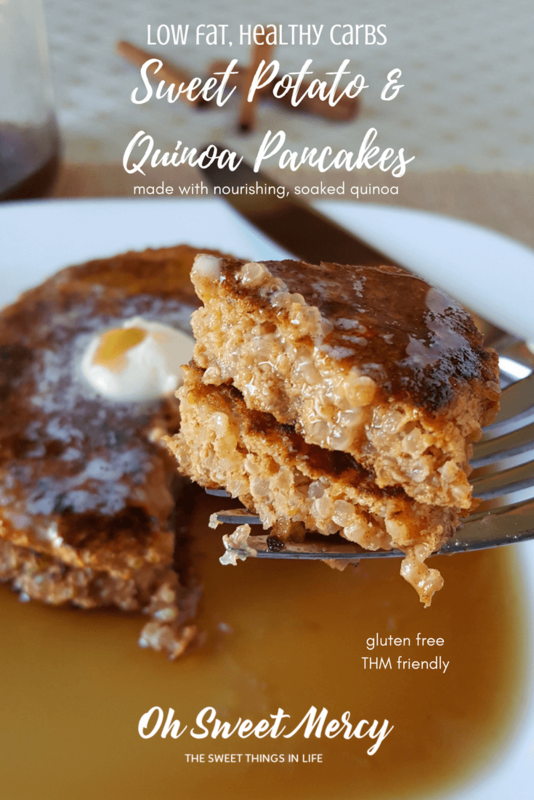 The addition of sweet potato to these easy, nourishing, low fat quinoa pancakes lends an almost caramelized sweetness. 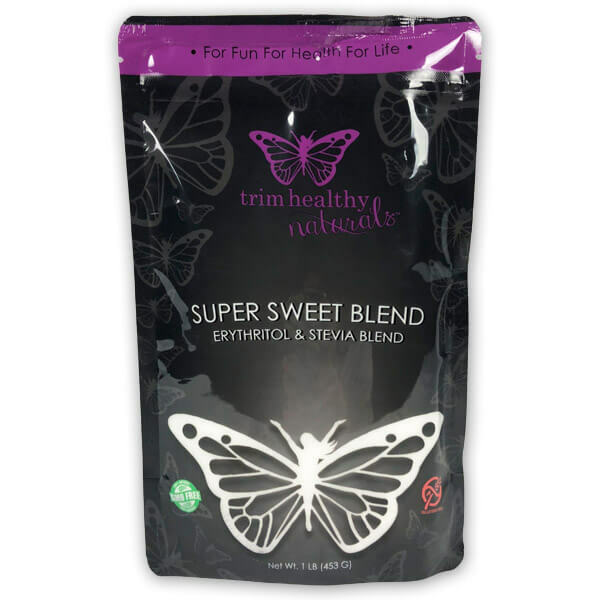 Topped with your favorite naturally-sweetened, sugar-free syrup you’ve got a wonderfully delicious low fat, healthy carb meal perfect for the Trim Healthy Mama. Not a THM? Use real maple syrup for a divine breakfast treat. Quinoa is such a healthy source of carbs. It’s packed with vitamins, minerals, fiber, and even protein to help it have less of an impact on your blood sugar. Since it’s a slower-burning carb source your blood sugar is more likely to remain stable. 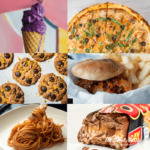 If you’re a diabetic, you know how some foods affect your blood sugar but not other people’s. If you’ve not tried quinoa before, be sure to test your blood sugar after eating to see how it affects yours. Including additional protein may also be helpful. Sweet Potato + Quinoa For The Win! On a whim one morning, I added half a baked sweet potato to this simple batter for quinoa pancakes. It’s loosely based on my Spicy Quinoa Fritters recipe, which is a savory option. Combining cinnamon, vanilla, and a bit of THM Super Sweet to the mix resulted in the most divine quinoa pancakes I’ve ever had. Something about that sweet potato gave the pancakes an almost caramelized flavor – without being cooked in a ton of fat. Need help converting sweeteners? This handy Sweetener Conversion chart from THM will help. 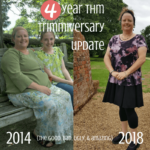 When you’re watching your fats and carbs, that is a definite win! 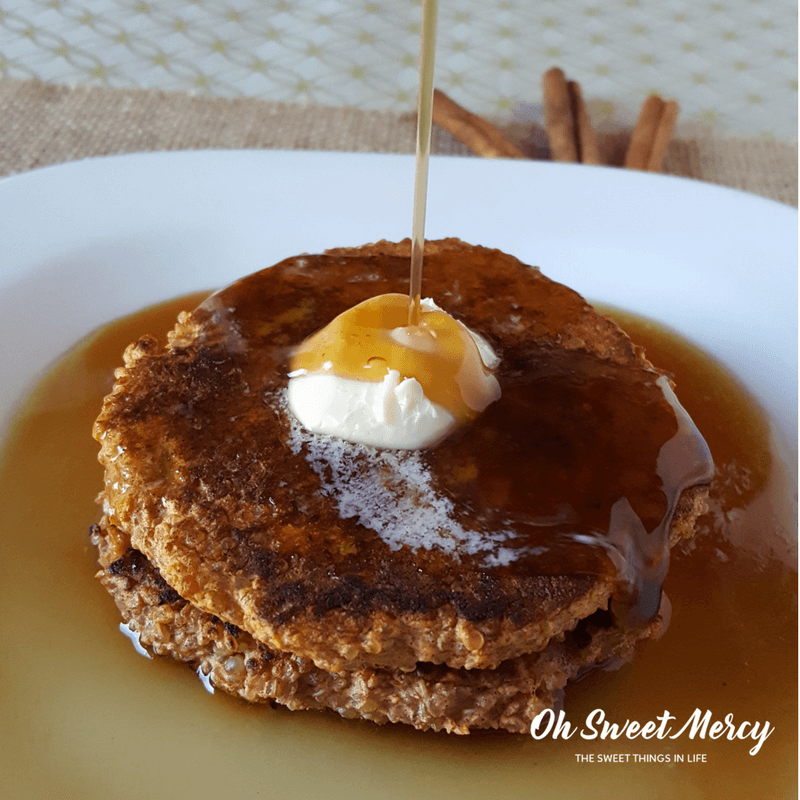 A small pat of grass fed butter and some sugar-free syrup, such as the Fuel Pull Pancake Syrup in the first THM Cookbook (pg 480), or this Rich Buttered Sugar Free Maple Syrup from Nana’s Little Kitchen, make these quinoa pancakes a healthy breakfast treat. You could also give this Sugar Free Blueberry Syrup from Wonderfully Made and Dearly Loved a try. Adding blueberries is always a great way to boost your brainpower, and combined with the Vitamin A in sweet potatoes (plus all the nourishing goodness of quinoa) you’re fueling your body with antioxidants too. These yummy sweet potato and quinoa pancakes also reheat well, so make a bunch to have on hand for quick snacks or breakfasts. Soak Your Quinoa For Optimum Nutrition. Quinoa is not actually a grain, but a seed (also called pseudograin). Grains, legumes, nuts, and seeds contain antinutrients and should be soaked to neutralize them. Doing so will make the nutrients more bioavailable as well as increase the digestibility of the foods. 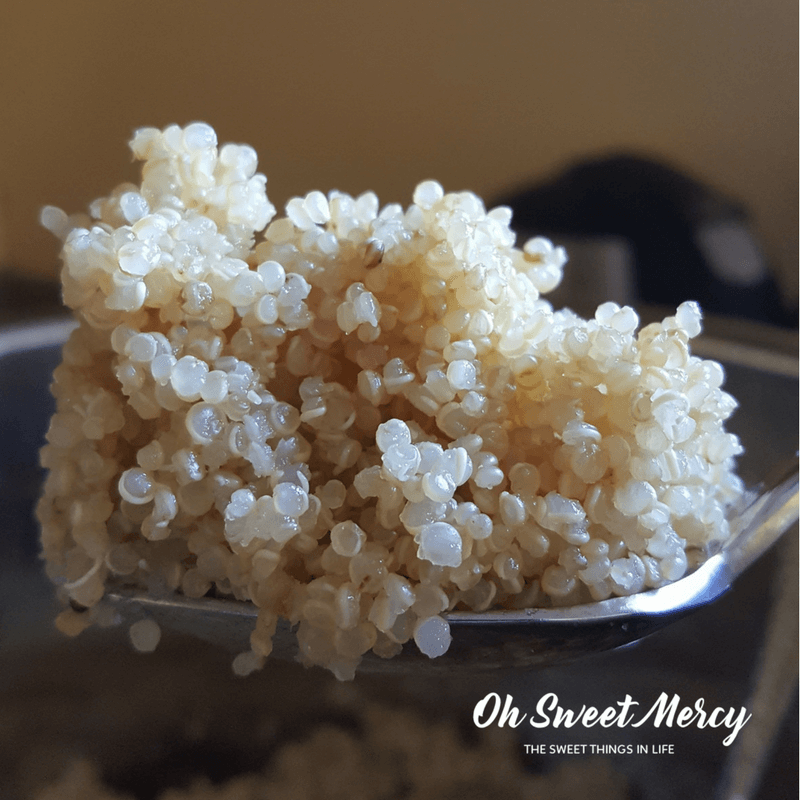 If you have an Instant Pot, Lindsey over at All The Nourishing Things (formerly Today in Dietzville) has an excellent tutorial on how to make fluffy, soaked quinoa in your Instant Pot. It’s so easy, and makes the most delicious, perfectly cooked quinoa! Here’s a photo of my first try…perfection! You can still soak your quinoa and cook on the stove top if you don’t have an Instant Pot, it cooks much more quickly than brown rice (another reason I prefer quinoa over rice). Learn how here. 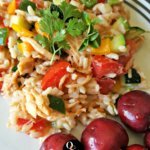 Traditional Cooking School is a great source of information on soaking grains, fermenting, and many other healthy, traditional food preparation methods. Sign up for some eCourses while you’re there too! I love being a part of the team at TCS, such a helpful and wonderful community. Need a great source for healthy, organic quinoa? Wildly Organic is my go to! How To Enjoy These Delicious, Nourishing Sweet Potato & Quinoa Pancakes. 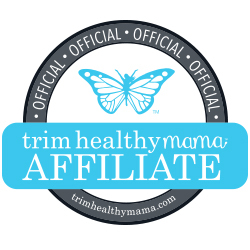 If you follow a healthy, low-glycemic way of eating such as the Trim Healthy Mama Plan you’ll want to be sure to use an on-plan syrup like I mentioned above. Alternatively, you could just sprinkle with a mixture of cinnamon and your favorite granulated stevia product, such as THM Gentle Sweet. Be sure to add additional protein to this meal, as 2 pancakes will only provide 8 grams of protein. Adding a scoop of collagen to your coffee or tea, having some non-fat Greek yogurt, or a smoothie made with whey protein powder are great options for additional protein. You could also have an Egg White Omelette (that looks like the real thing) if you don’t have any special ingredients like collagen or whey on hand. Let’s Make Some Sweet Potato & Quinoa Pancakes! In a bowl, combine egg whites and sweet potato and mix well. Add remaining ingredients and mix well to combine, check for sweetness and adjust as needed. Heat a cast iron skillet over medium-high heat until water droplets sizzle on the surface. When hot, spray lightly with cooking spray or coat with a small amount of butter or coconut oil. Scoop out a heaping 1/4 cup measure and plop into the pan, smoothing it out until it is uniform in thickness. Cook for several minutes, until browned on the bottom, and flip. Cook for 2 or so minutes and remove from pan. Repeat for each pancake, or cook all at once on a large griddle. 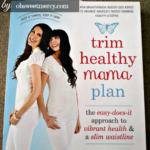 If you follow a healthy, low-glycemic way of eating such as the Trim Healthy Mama Plan you'll want to be sure to use an on-plan syrup like the Fuel Pull Pancake Syrup in the first THM Cookbook (pg 480), or this Rich Buttered Sugar Free Maple Syrup from Nana’s Little Kitchen. 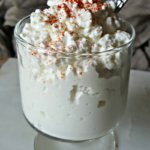 You could also have an Egg White Omelette (that looks like the real thing) if you don't have any special ingredients like collagen or whey on hand. The fat grams in the nutrition information is fat naturally present in the ingredients. 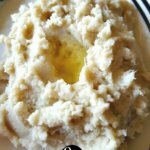 You can have the full amount of added fat for an E meal (check the plan book for full details). Pin This Easy, Nourishing Quinoa Pancakes Recipe to Your Favorite Pinterest Boards!